Responding to requests by the West Hills Neighborhood Council’s Streets & Transportation Committee and others in the community, Los Angeles City Councilmember Mitchell Englander sponsored a resolution in the City Council allocating $85,000 to install pedestrian-activated LED lights embedded into the crosswalk across Roscoe Boulevard at Jason Avenue. The motion passed unanimously and was signed by Mayor Eric Garcetti. 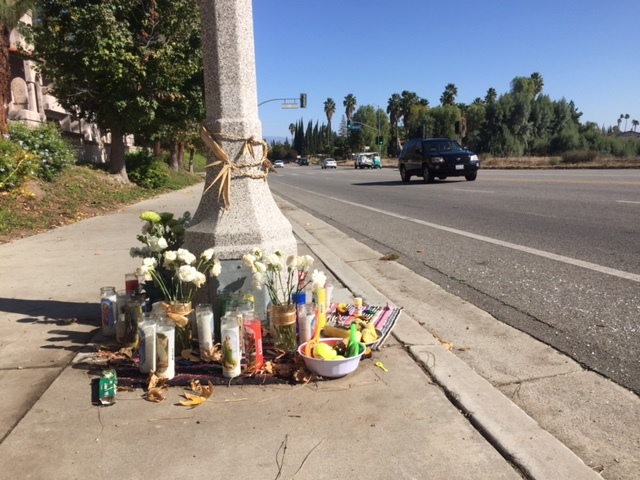 The crosswalk is the site of an accident that killed two women, Pia and Erica Botz, and their dog in the evening of April 11, 2016. The driver of the vehicle that struck them told police he did not see the women until it was too late to stop. Funds for the LED lights will come from the city’s Street Furniture Revenue Fund. The Neighborhood Council is also listening to West Hills residents who are requesting traffic controls at other crosswalks in the community.